Summer 2018 has been a difficult time for tree nurseries with large water bills and fuel costs. Some trees such as sweet chestnut have reacted well to the heat while others such as hawthorn just stop growing and are reluctant to start again. 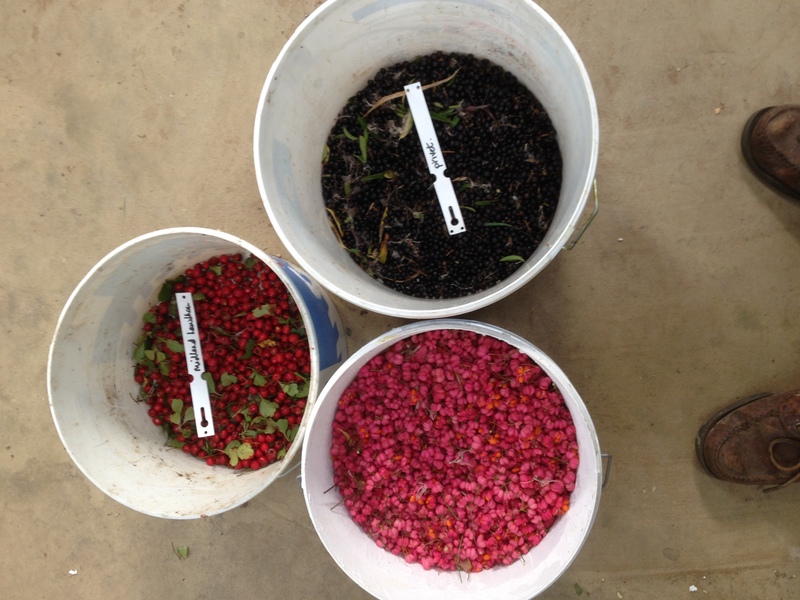 Aveland Trees grows native trees and shrubs from seed that we collect ourselves. 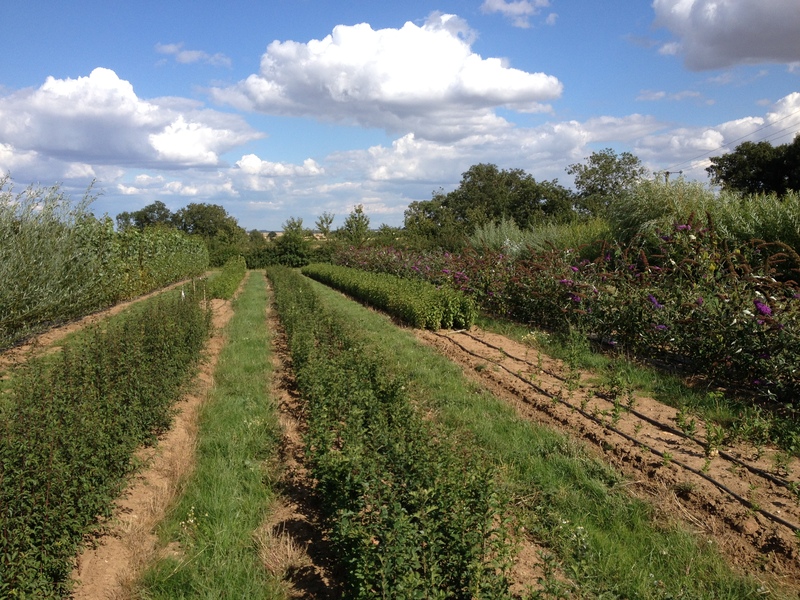 We collect large quantities of hawthorn berries (haws) each year which are sold to other British nurseries, we then buy back the hawthorn as one or two year plants. This way Aveland Trees controls the seed source of its plants while benefiting from the economies of scale and excellent growing conditions of the larger nurseries. Oaks. Pedunculate and sessile oaks are grown in compost filled trays to produce excellent plants 30-50cm and 50-80cm after just one year’s growth. 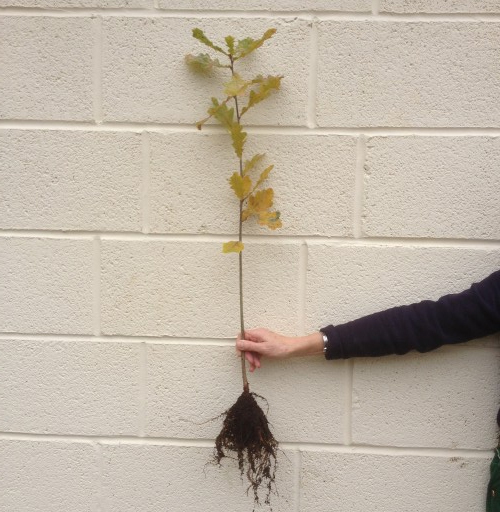 The oaks so produced are perfectly straight and have a mass of fibrous roots (see photo below). This is in contrast to field grown oaks which struggle to reach 30-50cm in their first year and have a tap root with little in the way of fibrous growth. Small cell grown oaks have tightly restricted root systems which often have difficulty in growing into the soil before the plug dries up. The tray grown oaks are easy to plant because of their compact root system. Once planted they put down a tap root and get away very quickly. In 2018 we have grown pedunculate oak from Grimsthorpe Park and a selected Dutch provenance Deurne. We also have sessile oak from a site in Leicestershire. Wild Service Tree. 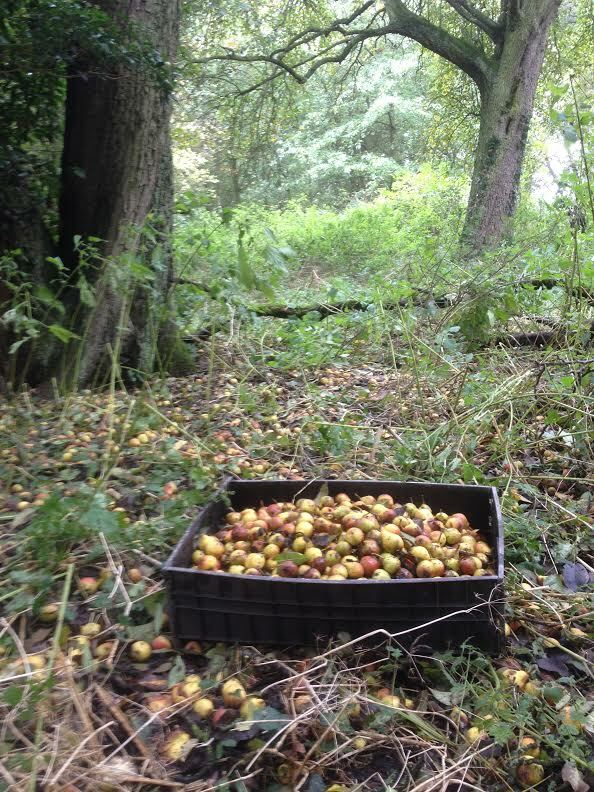 We have several seed sources for wild service, Sorbus torminalis, in the local woods. It is a difficult tree to grow because it has very fine roots that do not like to be disturbed, so for best results we grow these in 9cm pots. We also have 2 year bare-rooted plants grown from our large seed collection in 2015. Plant it in a sheltered position. Elms. In May 2018 I visited the Bialowieza Forest in eastern Poland. I was lucky enough to find a group of seeding wych elm and so filled a carrier bag with the seed. Back home I sowed the seed immediately and was rewarded with a magnificent crop of straight young trees. These are 40-60cm tall and would be ideal for adding to a mixed broadleaved planting scheme on a damp lowland site. The chances are that I won’t be able to collect any more seed from this site, so this is the year to plant them! Collections of British elm seeds were not so good this year, but we have good quantities of 2 year Wych Elm from Northamptonshire in the seed beds. Midland Hawthorn. After a crop failure last year we are pleased to say that the Midland Hawthorn seedlings have grown well in our nursery this year. We also have a range of trees and shrubs suitable for landscaping. To complement the plants, we also stock a range of tree planting accessories; spiral guards, canes, tree shelters, stakes etc. Orders for plants and accessories can be collected from the nursery or delivered by us. For more distant customers we use a national carrier. The nursery is normally open Monday to Friday 8am to 4pm during the planting season (October to March). At other times of the year please phone first. If you would like Aveland Trees to do the planting as well as the supply of plants please click on Woodland and Hedgerow Planting.